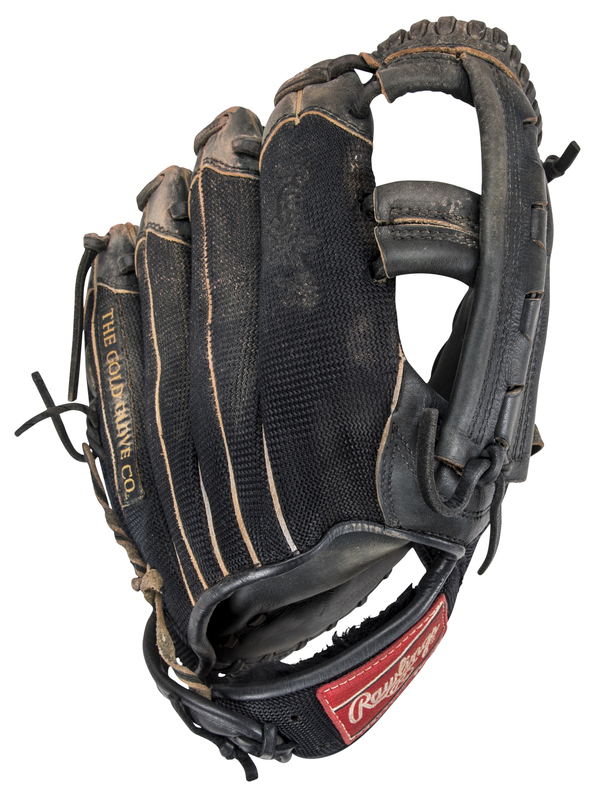 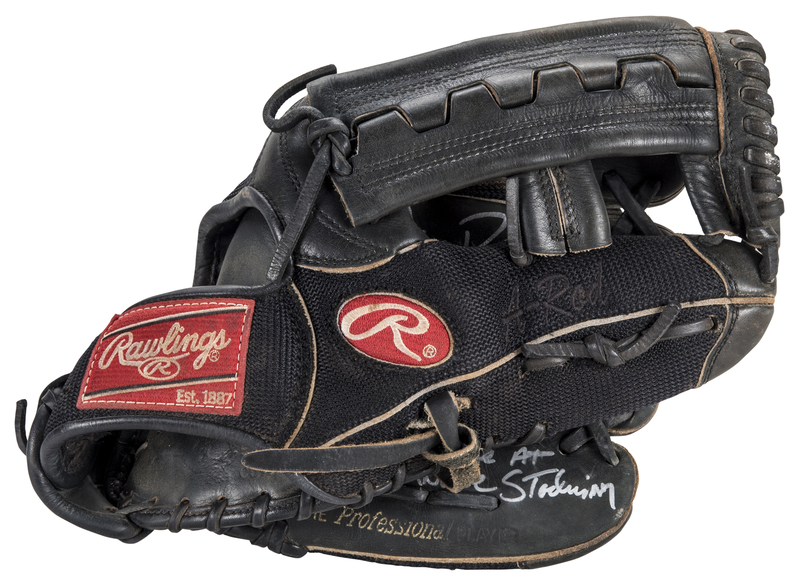 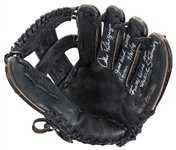 Alex Rodriguez wore this black Rawlings fielder’s glove during the 2008 MLB season, the final season at Yankee Stadium. 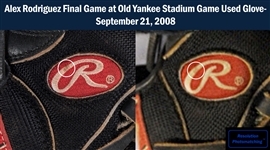 Rodriguez carried the Yankees to an 89-win season in 2008, hitting .302 with 35 homers, 103 RBI, and 104 runs in addition to a team-leading 6.8 bWAR. 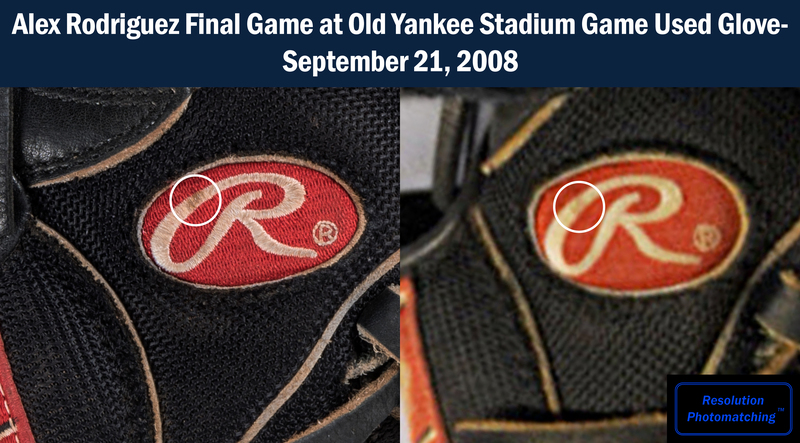 The Yankees final home game of the 2008 season came on September 21st, against the Baltimore Orioles. 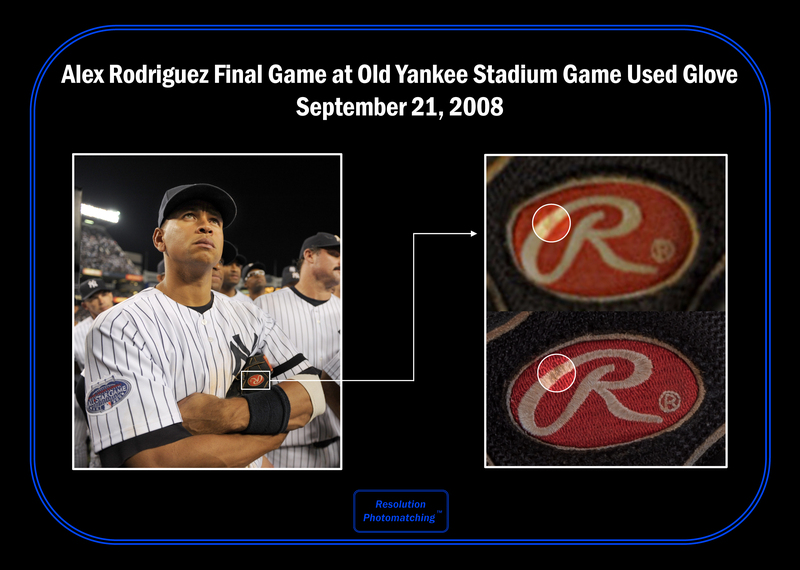 Rodriguez finished this game with two walks as the Yankees claimed a 7-3 victory over their divisional rivals. 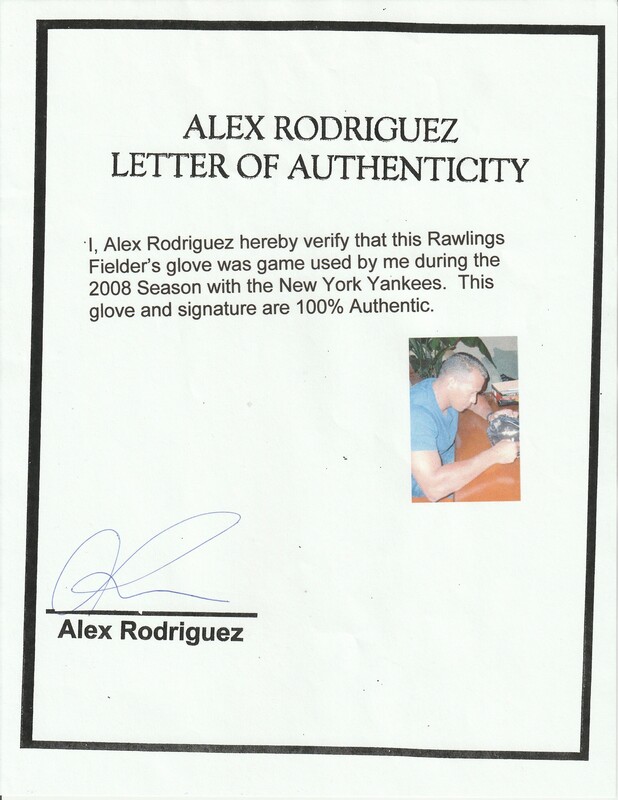 Rodriguez retired near the end of the 2016 season, ending his Hall of Fame-caliber career with over 3,000 hits, 696 home runs, and 2,086 RBI. This black Rawlings glove has a Rawlings tag sewn on the wrist and an ovular Rawlings logo on the outside of the thumb. 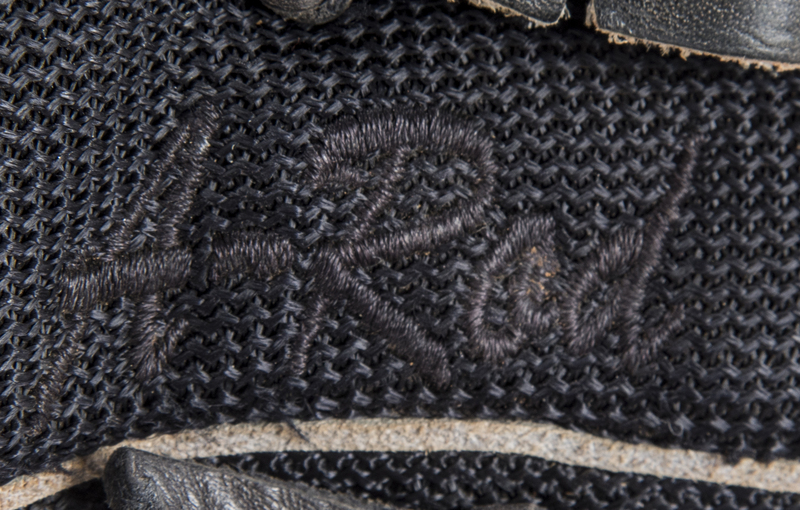 “A-Rod” is embroidered in black on the outside of the thumb slot. 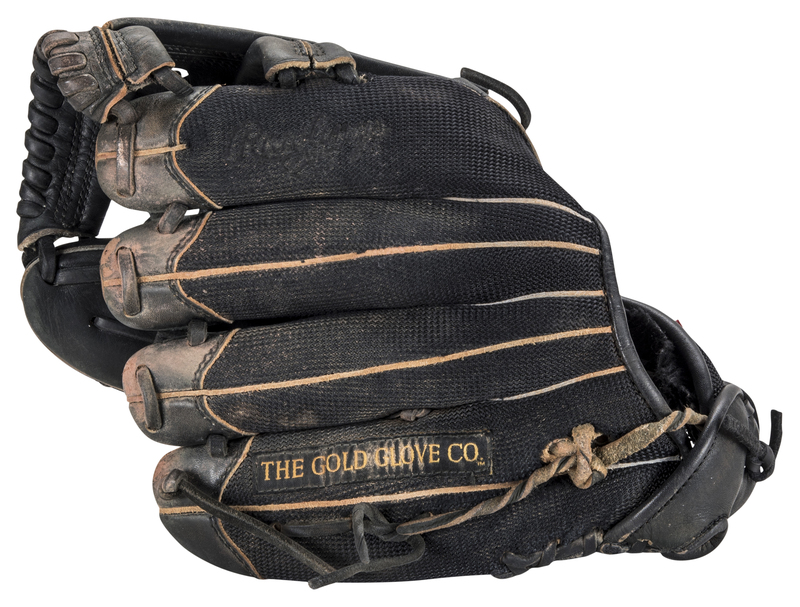 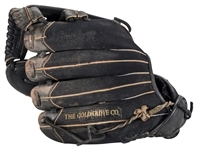 “Rawlings” is embroidered in black on the outside of the index finger slot, while a “The Gold Glove Co.” tag is sewn on the pinky finger. 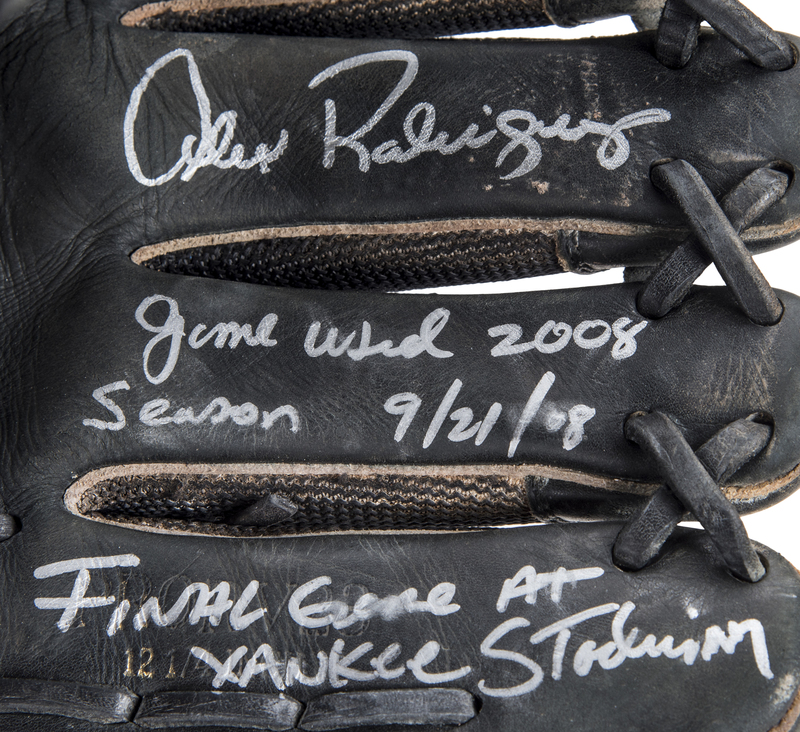 Rodriguez has signed the palm side of the index finger slot in silver marker, inscribing “Game Used 2008 Season 9/21/08” on the middle finger and “Final Game At Yankee Stadium” on the pinky. 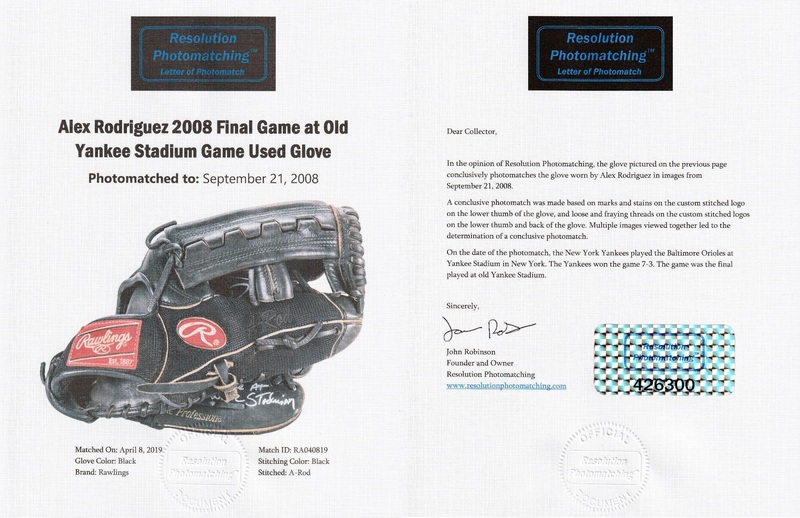 This glove comes with a LOA signed by Alex Rodriguez himself and has been photo matched by Resolution Photomatching to the September 21st, 2008 game.